Are you seeking anxiety treatment in Utah? If so, you are not alone. Anxiety disorders are more common than you might think. Nearly 20% of Americans ages 18 and older suffer from some form of anxiety. Everyone gets anxious sometimes; both new and everyday experiences alike can trigger anxiety. Life is full of challenges, and it’s normal to experience anxiety in the face of difficulties at home, in the workplace, and elsewhere in your personal life. You may be wondering what marks the distinction between run-of-the-mill worry and something more serious. Are your daily worries disrupting your quality of life? Does fear seem to overwhelm you and permeate your everyday objectives? Have your anxieties bled into depression? If you answered “yes” to any of these questions, you may be suffering from an anxiety disorder, and may want to seek anxiety treatment. Anxiety disorders can assume a number of forms, but there is no reason why your anxieties should control you or your life. 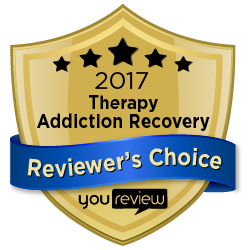 Here at Pathways Real Life Recovery in Utah, we are dedicated to developing a customized anxiety treatment regimen that works for you. We’ve supported children and adults of all ages to reduce their symptoms, create sustainable self-help strategies and regain control of their lives. With a bit of support, you can begin to understand your anxiety and minimize its effects. Contact us at 801-895-3006 for more information on anxiety treatment. Anxiety disorders are categorized as mental disorders, and like many mental disorders, they can affect both mind and body. Anxiety is most easily characterized by feelings of intense apprehension regarding present events and excessive worry directed at past, or future events. Those with Generalized Anxiety Disorder are sometimes colloquially described as worrywarts. If you are affected by GAD, you may experience persistent worry, uneasiness, and feelings of unsafety. This can result in excessively cautious behavior, mental exhaustion and decreased everyday mental comfort. Individuals affected by Social Anxiety Disorder can find everyday social scenarios exhausting. Symptoms include social nervousness, elevated sensitivity to criticism, and an amplified fear of rejection. Panic attacks may result in accelerated heart rate, heart palpitations, sweating, shortness of breath, and an overwhelming sense of peril. Intense physical and emotion difficulty accompanies these attacks and this can lead to avoidance of topics, areas and people that might provoke future incidents. Individuals who suffer from anxiety disorders may also be affected by Obsessive-Compulsive Disorder, which is characterized by obsessive and/or compulsive behavior. Obsessions – including repetitive thoughts and mental fixations – can result from past anxieties and produce future ones. In addition, obsessive mental activity can lead to uncontrollable compulsive behavior. Phobias are intense and irrational fears. Those with phobias experience extreme, overwhelming reactions to particular objects and scenarios, some of which include dogs, needles, clowns and tight spaces. While phobias may have no rational basis, they nonetheless can alter and disrupt the lives of those who suffer from them. This is a severe type of anxiety that affects individuals who have been exposed intense trauma, either first hand or as a witness. Sexual abuse, wartime trauma and vehicular accidents are just a few potential sources of trauma. Symptoms of Post-Traumatic Stress Disorder include flashbacks, nightmares, and anxiety. Take a step back. Set aside a few moments each day for self-reflection and meditation. This is also a good way to identify and decrease sources of anxiety, including poor time management and an overblow desire to please others. Limit anxiety-aggravating substances including caffeine, drugs and alcohol. Improve your diet, avoid skipping meals and normalize meal times. Get enough rest. A full night’s sleep can go a long way. Community involvement. Focus that anxious energy outward. Though self-coping strategies can have a transformative effect for some people, they don’t work for everyone. If your anxiety symptoms are a persistent source of distress that overwhelms your everyday routine, seek professional help. Treatment is determined by the severity and type(s) of anxiety that affects you. Psychological counseling can be an effective means of reducing your symptoms and cognitive behavioral therapy is especially useful for those suffering from generalized anxiety disorder. Psychiatrists specialize in the diagnosis and treatment of mental illness, and psychiatric professionals can provide both psychotherapy and medication, if needed. At Pathways Real Life Recovery in Utah, we offer free assessments for anxiety treatment and provide customized treatment plans for each and every client. We are here to help both individuals and families create sustainable, long-term change. We accept insurance and our doors are open 24/7.